Timeless elegance and warm Kimpton Hotel hospitality make for a perfect stay at the Grand Hotel Minneapolis. Our boutique hotel in Minneapolis, located downtown, is one of Travel + Leisure's 500 "Best Hotels in the World." 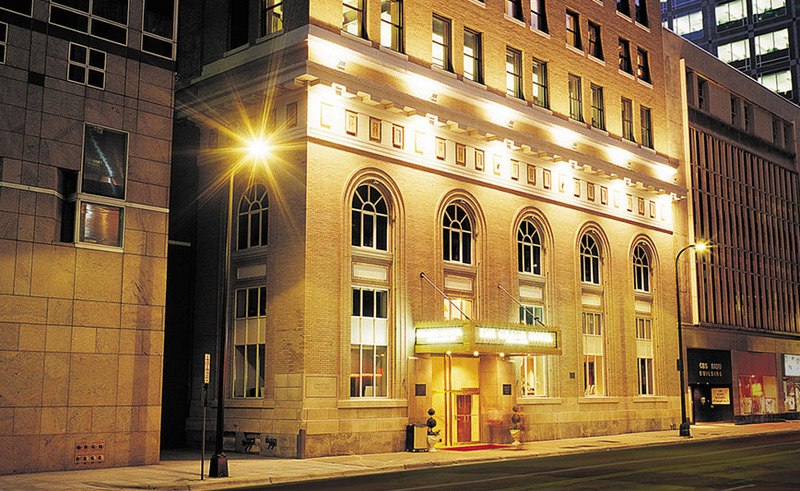 In a city characterized by its understated style and cultural sophistication, our Minneapolis hotel, located downtown, stands out as an iconic landmark. A crown jewel in The City of Lakes, with its own award-winning restaurant and a full service in-hotel spa, the hotel offers an ideal urban retreat, whether you're here for business or leisure. Connected to the climate-controlled Skyway that interlinks downtown, the hotel offers easy access to major Minneapolis attractions - walk to your to favorite downtown destinations and Fortune 500 offices. Catch a Minnesota Twins or Vikings game. Enjoy top dance, music and theater performances. It's all just steps from our Minneapolis hotel.